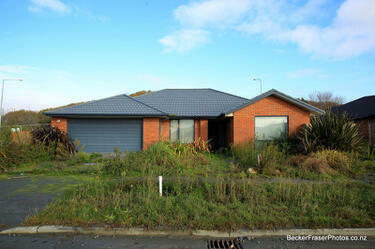 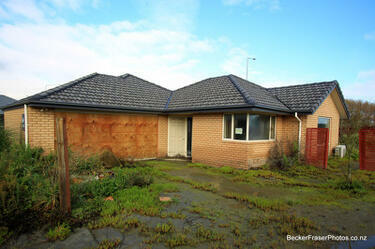 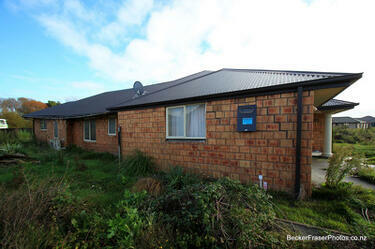 Photograph captioned by BeckerFraserPhotos, "23 Seabreeze Close, Bexley. 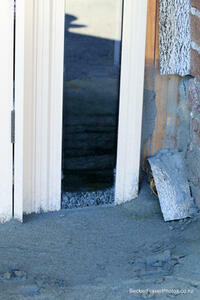 Through the window pane beside the door you can see silt piled about 30 cm high inside the house". 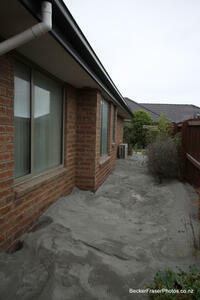 A photograph of liquefaction silt surrounding a house. 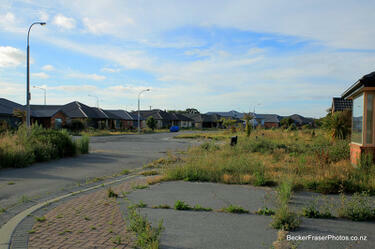 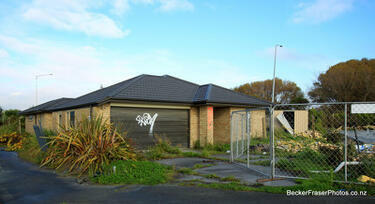 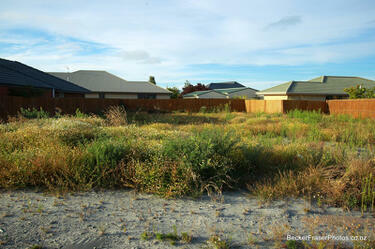 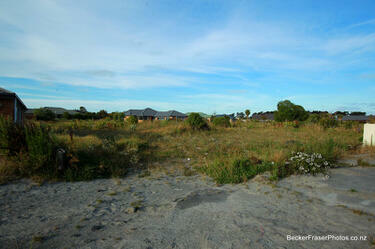 The photograph is captioned by BeckerFraserPhotos, "Seabreeze Close, Bexley". 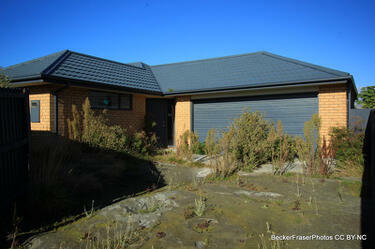 A photograph captioned by BeckerFraserPhotos, "24 Seabreeze Close, Bexley. 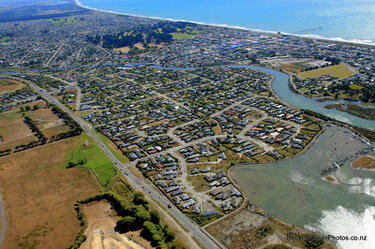 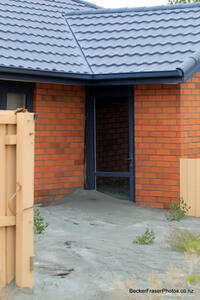 The door is permanently open because of the liquefaction silt, but there is no-one home to welcome you in". 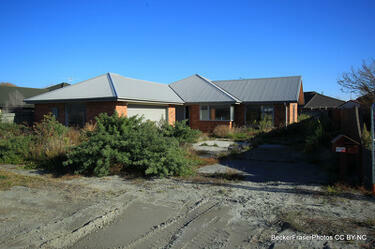 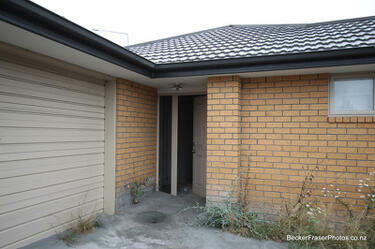 A photograph of liquefaction in front of a house. 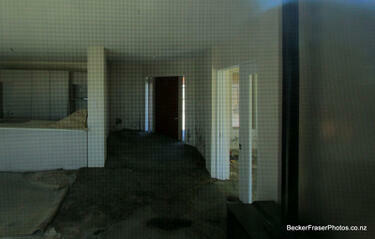 The photograph is captioned by BeckerFraserPhotos, "It would be very hard work opening that door. 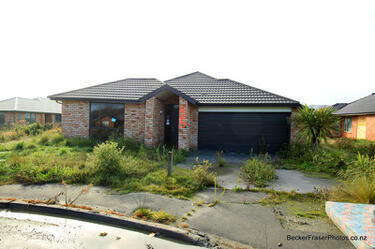 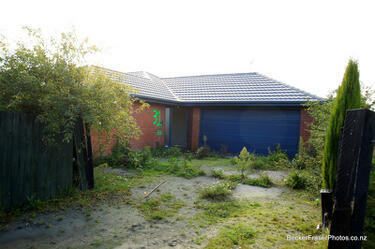 22 Seabreeze Close, Bexley". 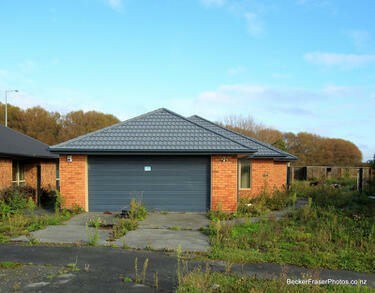 A photograph of a sign reading, "Seabreeze Close is now closed. 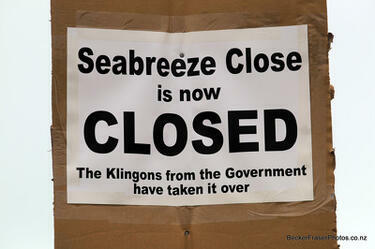 The Klingons from the Government have taken it over." 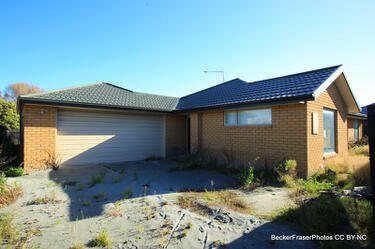 The photograph is captioned by BeckerFraserPhotos, "Seabreeze Close, Bexley".